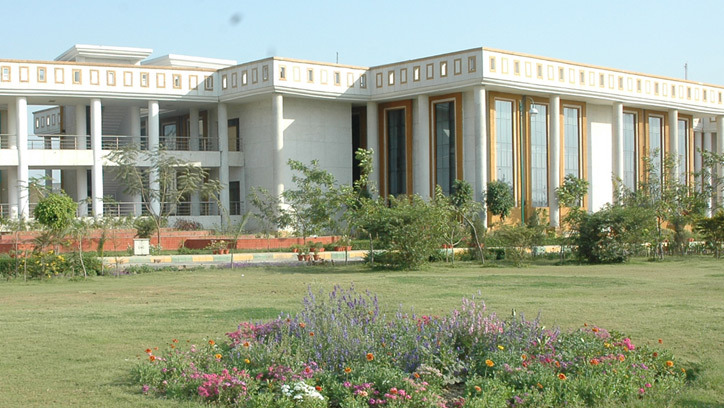 Dr.Ram Manohar Lohiya National Law University, was established by an Act of Govt. of Uttar Pradesh in 2005, U.P. Act No.28 of 2005 and came into being on 4th of January 2006 to meet up the new challenges in legal field and to strengthen the vision that was given by the establishment of first National Law School of the country. 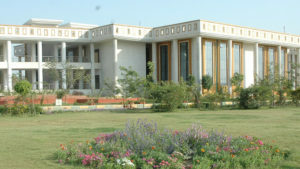 Originally incorporated as ‘Dr.Ram Manohar Lohiya National Law Institute, Uttar Pradesh’ word ‘Institute’ was substituted by the ‘University’ later, vide an amendment in the Act in November 2006. This was done to give a comprehensive national character to the Institute on lines with the other premier National Law Universities of the Country. Recent Debate achievements: Winners, D.R. Memorial British Parliamentary Debate, 2017 organized by PCTE Ludhiana. Recent Moot achievements: Winners, 7th edition of Leiden Sarin’s International Air Law Moot Court Competition, 2016. Sports: Winner at Virudhaka 2016, NLIU, Bhopal. RMLNLU offers one of the best infrastructures among the NLUs boasting of Centrally Air Conditioned Administrative Block, Academic Block, Well Equipped Library, Moot Court Hall, 3500 Capacity Auditorium and a Conference Hall. Campus wide internet facilities, 24 hour power back up, separate, comfortable hostels for boys and girls, Residential facilities for over 150 faculty members and staff. In the sports department, RMLNLU has an Olympic-size swimming pool, lawn tennis court, basketball court, football ground, an indoor sports complex offering badminton court, table tennis, gymnasium. The university offers a built in hospital and medical staff providing 24 hours ambulance service.